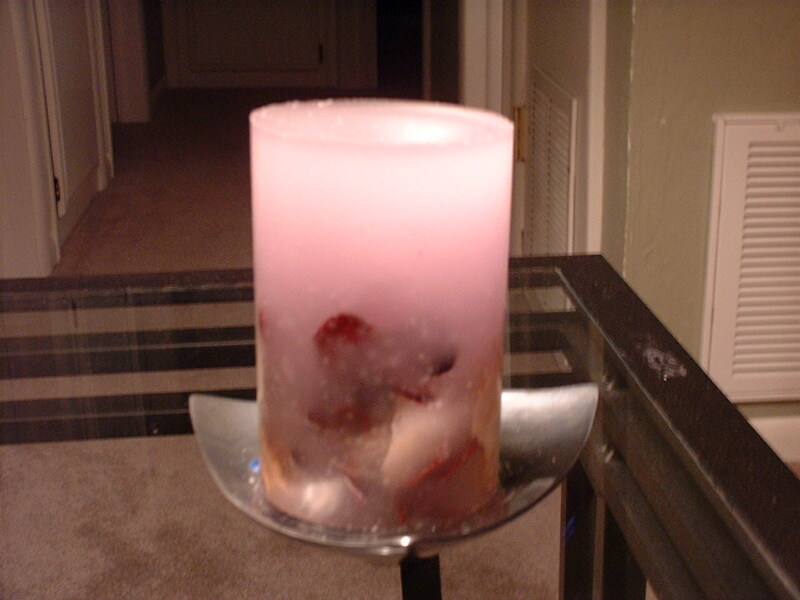 We provide you our hand made candles. You can take a look at pictures and choose what you want. we cannot make "exactly" the same item as pictures on this page. We have three different kinds of scent. Vanilla, Lemon and Aromatherapy scent. You can request which scent you would like to have. Simple vanilla scented candle. You can see potpourri inside. Sorry, candle plate is not included. White candle with colorful chunks. Vanilla scented. 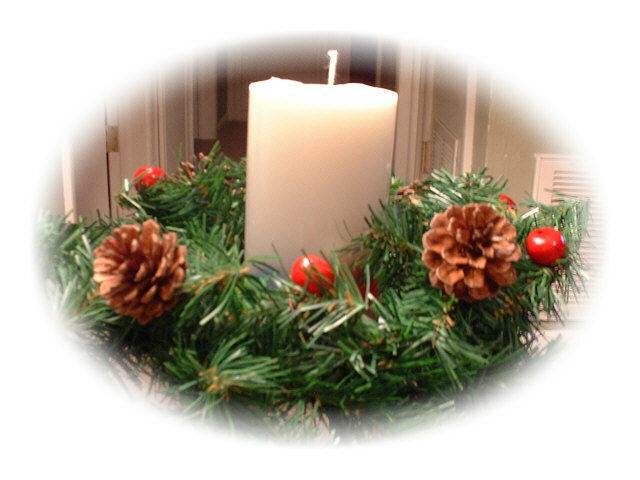 If you prefer to purchase candle without wreath, you can contact us. We will let you know the price. Copyright(C) 2001-2002 Shop @ M's. All rights reserved.